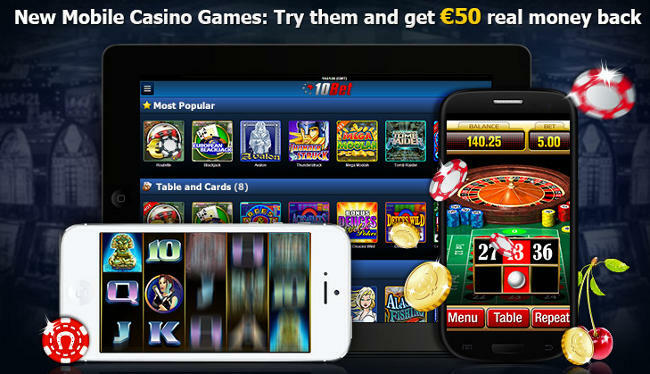 10bet is offering its players the chance to enjoy a bonus that is good for 50% for as much as €50 when they decide to try out new mobile games. Another great thing about this bonus is it doesn’t have any rollover requirements. This cashback is equal to 50% and for as much as €50 of the amount the players lost on the mobile games during their first day playing them. The minimum amount of this cashback is €10. This cashback bonus will be credited as real money and it has no rollover requirements. This bonus is credited to the player’s accounts within 48 hours of playing and they will be notified by email. The amounts of the cashback bonus are rounded down to the nearest five units and the general terms and conditions also apply for this bonus. Players will need to have made at least one real money deposit into their account in order for them to qualify for this promotion. Thanks to the mobile games players will be able to continue having a great time and trying for those wins while they are on the go. Now, they have even more reason to give those mobile games a try. 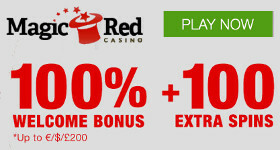 Ladbrokes is offering a promotion that is perfect for players who enjoy the game of roulette. If you are a fan of the game then you want to be sure you visit the Live Roulette tables on Mondays where will have a chance to earn 25% cashback on what the house takes. All you have to do in order to take advantage of this great offer is to make sure you are at the Live Roulette tables on Mondays and have met the minimum deposit requirement of £25. The minimum bonus is £5 and the maximum is worth up to £50. If you plan on taking advantage of the bonus then you want to verify you are eligible to receive it and fill in the claim form using the bonus code: CA05011. This promotion is offered each Monday until its conclusion on September 30th, 2013. It is only available to the players who submitted the form, so be sure you don’t forget to do this. Players located in Taiwan and South Korea are not eligible for this promotion. In order for you to be eligible for the bonus you must meet the minimum deposit requirements of £20 and turnover at least of £25 on the Live Roulette games. This is a great promotion for those who enjoy playing roulette. Dark Night Rises Promotion at 10Bet! 10Bet is offering a new promotion that is just the thing for slots fans. In fact, this promotion is so exciting you may want to take advantage of it, even if you don’t generally play the slots. The casino is offering you the chance to enjoy a great bonus in order to celebrate the release of The Dark Night Rises online slots game. This promotion allows you the opportunity to have a great time on this new and exciting slots game and enjoy a 50% cashback. All you have to do in order to be eligible for this bonus is to be sure you play at least €20 on any day between Monday through Sunday during the months of August and September. If you don’t win then you will get back 50% for up to €150 which will be awarded to you on that following Monday. The start day for this promotion is the 30th of August and it ruins through the 30th of September. The minimum amount of the cashback is €10 and the maximum is good for up to €150. If you like the idea of playing an exciting game while enjoying a fantastic bonus, then you need to take advantage of this promotion. SpinandWin.com is offering a great promotion to players that is unique and which brings them the chance to enjoy a great bonus! This bonus is available to all players at SpinandWin.com when they make their first deposit and the minimum bonus they will qualify for is a 5% cash back bonus. This promotion is the casinos way of helping players out who may not always see the luck they hoped to. The bonus will help you out if you happen to not be one of the casinos lucky players that week and you will receive at least 5% cash back into your account on your losses. You want to be sure to check your account each Friday if you qualify and you will see that your cash back bonus will be available to you. All you need to do is to accept the amount and it will be credited right into your account. Please note that your bonus is only going to be available to you for one week, so be sure you log in to claim it. There is a 10x wagering requirement which must be met before the funds are converted to actual money. This is a low wagering requirement for a bonus and makes it easy for you to clear.